Select the Button to Left "Want Name/Address" to go out and see this business. Heres what you get in this 1100 Sq Ft location on Super Busy Street in Pasadena. 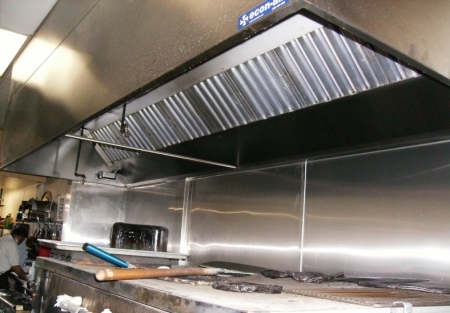 The Restaurant is Equipped with a 12' Hood System, Pizza Oven, Grease Trap, 4 Burner Stove , Gas Grill, Walkin Cooler, and more. There is a recessed Patio out front that appeals to the passerby. The concept there is doing OK BUT this location is screaming for a person with the desire to transform this into a thriving business. The place NEEDS some major TLC, but with this location an owner willing to make the commitment can see this place POP and cash in. Other restaurants near by include Panda Express, Yoshinoya, Carls Jr, Zankou Chicken and Polo Loco just to name a few. So you will be in good company. Just 11/2 blocks from a major school someone looking to bring a new innovative concept into the area this is a Great opportunity. The Pasadena area has a large customer base that are looking for something new. This is an Asset sale although if Buyer wants to continue the present operation that is a possibility. Priced at Only $49,000 this will move fast. Current Rent is Only $2460 per Month TOTAL. It has a year and half left on the lease as the current 5 year option is not transferable BUT we would add a contingency to the offer that purchase is made with the ability to add options to current lease. The Seller has discussed the Sale of Business with Landlord and he is willing to offer options to approved Buyer . Currently owners are not open on Saturdays and only 11/2 hours Sundays because of personal reasons BUT traffic in area on weekend is huge. So Don't Wait!! You got it all here, high traffic, low rent and the major expense items in place. If you have the right concept you will want to jump on this NOW!! Just Click the "Sign NDA" tab and get name, address and pictures to get started. Monday - Friday: 12pm - 10 pm.